By purchasing, you agree that items are for personal use only. My designs may not be reproduced in any form whatsoever. 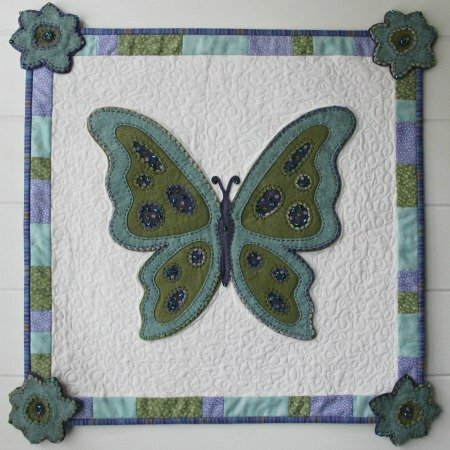 Bridgette Butterfly measures 18" x 18" and features reverse wool applique, hand embroidery, embellishments, patchwork and quilting. Link for PDF download will be emailed to payment email.